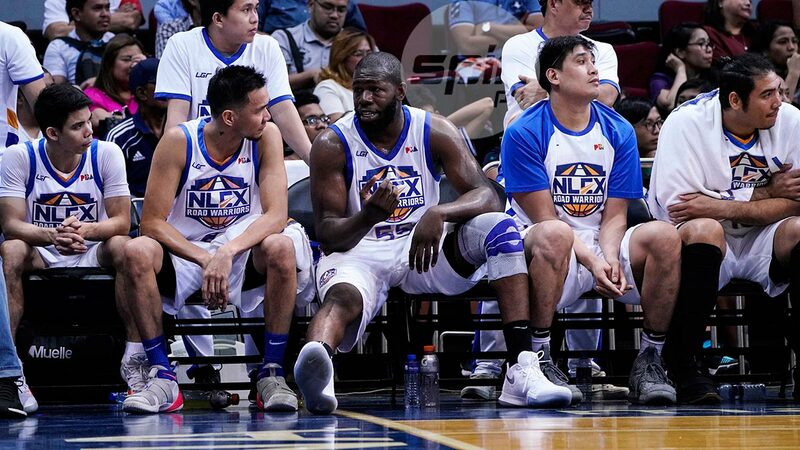 NLEX is ready to compensate Olu Ashaolu for his gutsy showing in the face of adversity. Team management said it will have the 30-year-old Ashaolu undergo therapy on the patella tendon tear he suffered prior to the PBA Governors Cup. And if everything goes well, he might just be tapped for a comeback stint should the Road Warriors goes deep into the conference. NLEX top executive Ronald Dulatre disclosed the arrangement the team had with the injured Ashaolu, who will be temporarily replaced by old hand Aaron Fuller. Fuller, who was the Road Warriors import in the same conference last year, arrived on Tuesday, but won’t be playing for the team until its Aug. 29 game against Columbian Dyip. “Olu is scheduled for a PRP (Platelet-Rich Plasma rehabilitation) on Thursday and then two weeks rest,” said Dulatre. “So Aaron will be playing for us on August 29 and Sept. 1 (against San Miguel),” he added. The NLEX official said Fuller has been made aware of the situation and doesn’t have a problem with it. “By Sept. 26 fully rested na si Olu, so that was explained to Aaron, so aware siya about the situation,” Dulatre said. As it is, Ashaolu had been winning games for the Road Warriors despite playing on one healthy leg. The import has steered the Road Warriors to back-to-back wins against TnT Katropa and NorthPort while averaging 30 points and 18 rebounds. Olu though will be up against a former Best Import in Romeo Travis in his final game with the Road Warriors before undergoing rehab. Travis, a teammate and close friend of LeBron James at St Vincent-St. Mary high school, led the Alaska Aces to the 2015 edition of this same conference but was swept by the San Miguel Beermen in the best-of-seven finals.